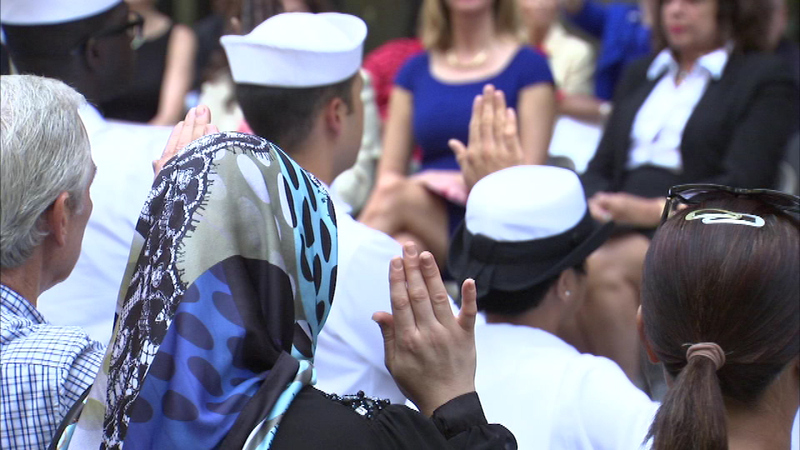 About 60 people from 26 different countries took the oath of allegiance at Daley Plaza on Wednesday. CHICAGO (WLS) -- Illinois has dozens of new residents after they took the citizenship oath on Constitution Day, which celebrates the 228th anniversary of the signing of the U.S. constitution. More than 30,000 people will become U.S. citizens in ceremonies across the country over the next week.